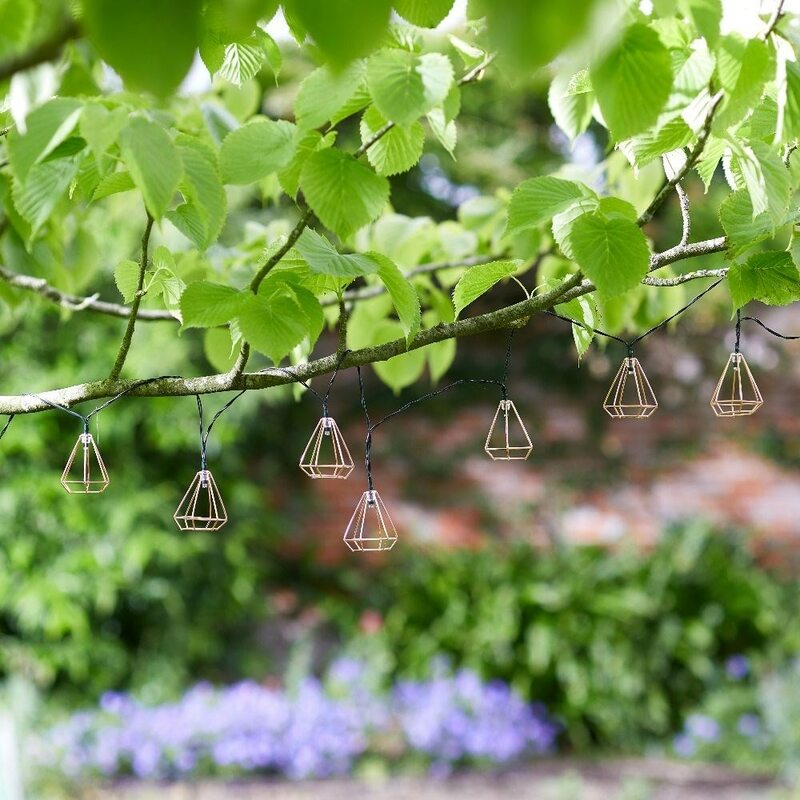 String of 10 modern and minimal geometric solar LED lights. Ideal for adorning trees, shrubs, bushes, walls, fences and structures in contemporary gardens. Powered by a separate solar panel, the lights can be placed anywhere in the garden - even in shady areas as long as the panel is installed in direct sunlight. They will charge during the day and illuminate automatically in darkness.